Next steps: Big news for the Rev. 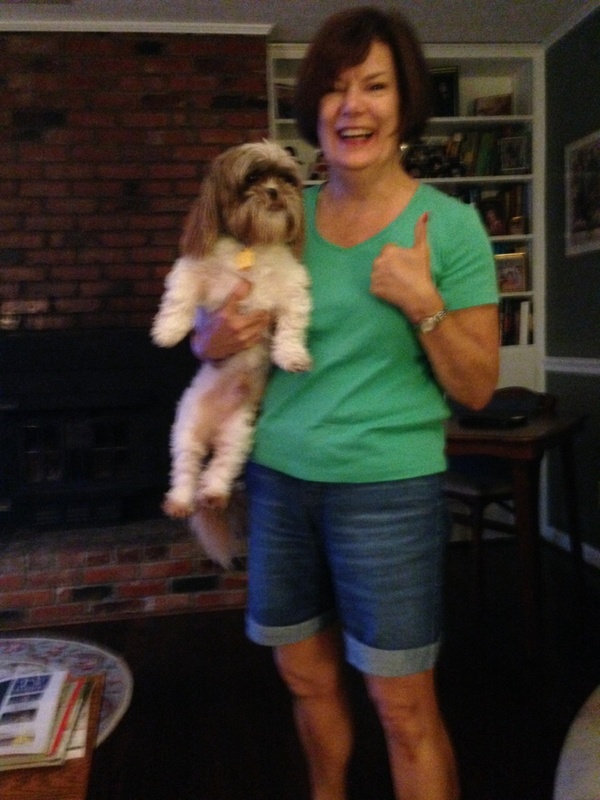 Mom and Chumley are getting excited! 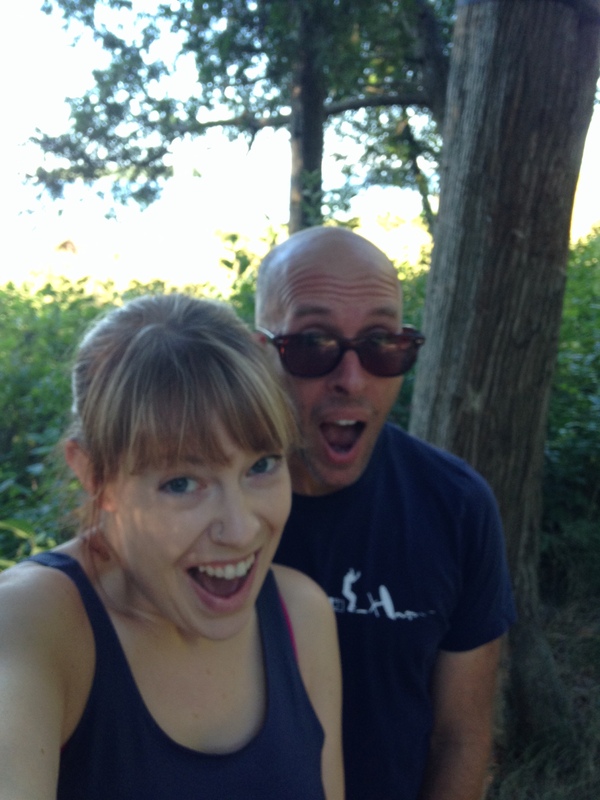 If you’ve been following along with me on Rev. on the Edge, you likely noticed my essential absence over the past couple weeks. At other times, I might ask you to be worried that I have fallen off the writing wagon or been sucked into a black hole of Netflix marathons and endless buckets of popcorn, but in this case, no news means good news. Very very good news. I can’t contain my excitement for long enough to wax poetic, so I’ll just tell you: I’ve been invited by Broadway Baptist Church in LOUISVILLE to live out my call with them as Associate Pastor for Children and Families. 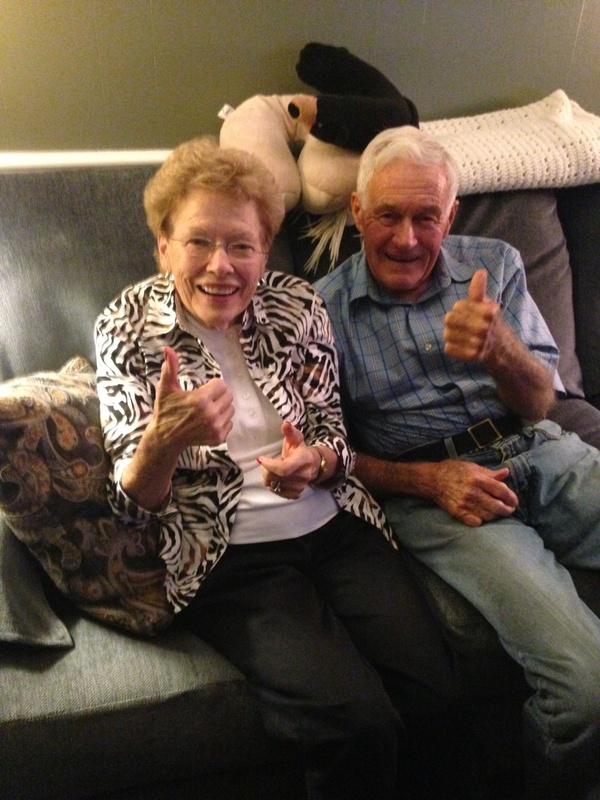 Grandma and Grandpa give two thumbs up! As you can see, my family is super excited for me to come back home, and I can’t wait to join a wonderful church in ministry in a community that I love. In lieu of my usual philosophical musings, I’m just going to offer some answers to the questions I know are going through your head. The poetic will come later. My first day at Broadway is September 22. I will stay at my current job (the Cooperative Baptist Fellowship) through September 12. My last Sunday at First Baptist Decatur will be September 14 (and yes, I fully intend to play viola in the Fresh Start band). Seester and future-bro-in-law already planning to come visit me/home! The truth is, I don’t know exactly what day I leave, but it will be sometime the week of the 15th. I want to try to see as many people as I can before I leave, so please let me know when you’re available! Where will you live once you get to Louisville? I don’t know yet where my permanent residence will be, but luckily, my mom has invited me to move in with her for the time being until I find a place to buy (fingers crossed). I also plan on setting up a room for myself at the YUM! Center, which will make it much easier to get to basketball games. 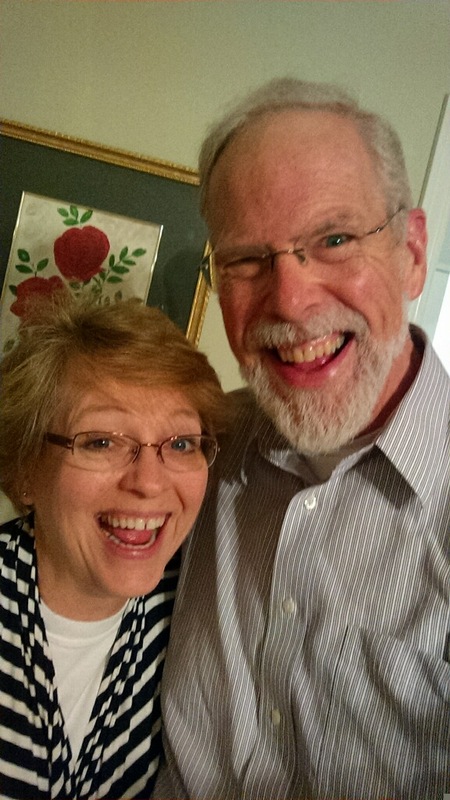 Dad and Ruth are beaming! I think moving back home goes without being said, so I have to say that I am most excited about learning and growing with the wonderful staff already in place at Broadway. The people I’ll be ministering with are creative and talented, driven to stretch themselves and the church. I’m so excited to be joining such an amazing team. On top of that, I have nothing but respect for Broadway as a church community. I can’t wait to get to know the families and children who will share life with me. I look forward to being challenged by them and sharing my gifts with them. What will you miss most about Atlanta? That’s tough! There are so many great restaurants here. There’s my favorite movie theatre at Phipps Plaza. Not to mention McAfee School of Theology, where I spent the greater part of this journey in Atlanta. But, I think I’ll miss the friendships I’ve developed the most. I’ve found family here at First Baptist Decatur, Smoke Rise Baptist, Park Avenue Baptist, and CBF. The relationships I’ve developed in Atlanta have shaped me into the minister I am and will continue to mold me as I live into my potential. I don’t think it has quite hit me yet that these people won’t be right around the corner once I leave. What is this going to mean for your blog tagline? 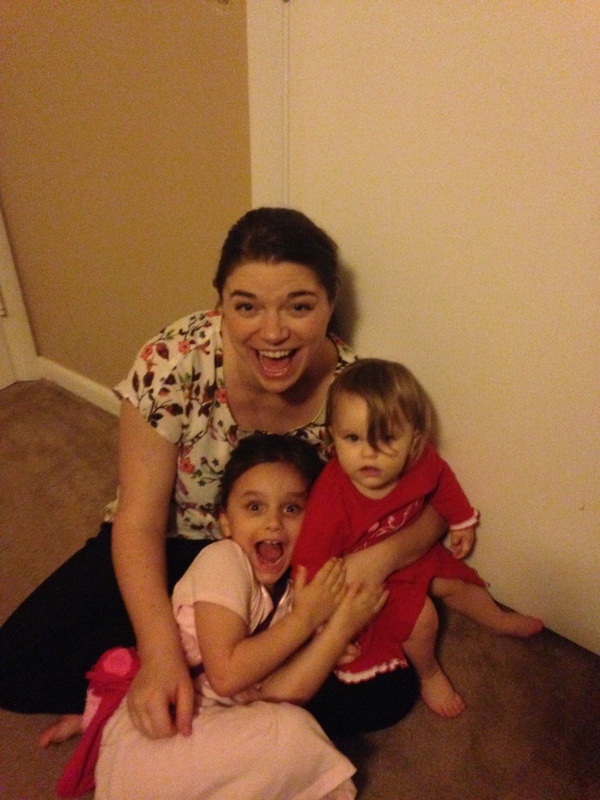 Lillian and Annabelle can’t wait to have their “Aunt Emily” come play with them! Ok – so, I doubt this is going to be a frequently asked question, but it’s on my mind. Anyone who has spent any amount of time in Louisville knows that it is not really “the South,” but musings of a young, single, female minister and writer living in a city that doesn’t know whether it’s South or Midwest doesn’t really roll off the tongue. Suggestions? I LOVE CBF. I love love love CBF. Nothing will change that. I am so grateful I had the opportunity to work with a multitude of wonderful people and leaders in my role there. I know that I am not the same person I was when I started at CBF, and I owe so much of who I am to the Fellowship. I am excited to serve CBF in a new capacity, as a minister and advocate. I am ready to embrace this new role as fully as I can. 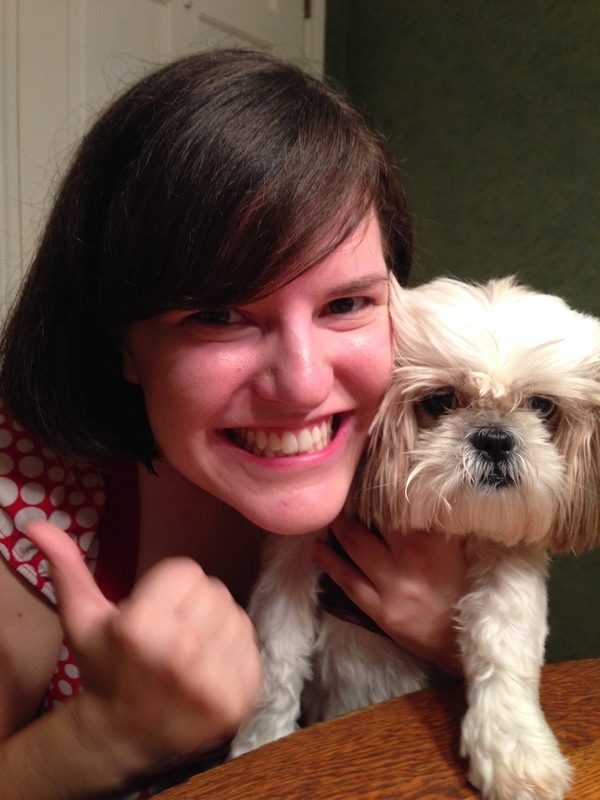 Sookie and I are SO excited about our big announcement. What else? What questions do you have? Post them in the comments and I’ll add them to the list. Thanks for continuing this journey with me! I’m excited for this step along the path. I consider L’ville to be the upper edge of the South, so I don’t think the blog name should change at all! Big congrats!! Whooooo Hooooo! and Boo Hoo. We love you, we’ll miss you, we’re excited for you at FBCD! Congrats Emily! 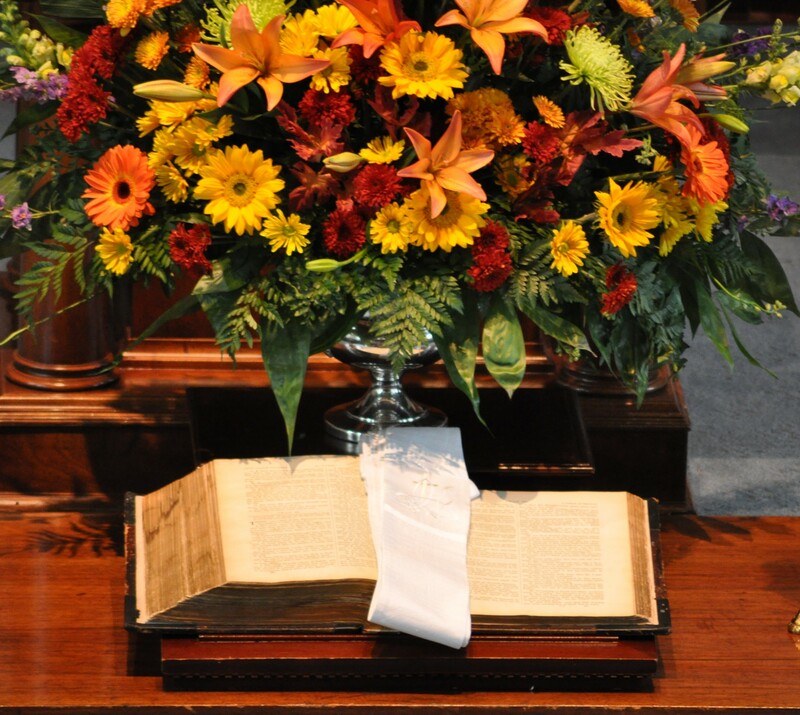 You will be a wonderful Associate Pastor for Children and Families! Broadway is blessed to have you! Thanks for sharing this special news! Can’t feel anything but good about Broadway and their good fortune in having you serve with them. We will enjoy keeping up with your life there and look forward to staying in touch. Sooooo happy for you! Is this church in the city or suburban? What is the size? Well… the Dream will have to run without me in the stands. I will make every effort to go when they’re in Indiana though! We’re going to miss you, Rev! Hope you keep writing!